Collateral impacts of land use and land-use change and forestry (LULUCF) projects, especially those concerning social and environmental aspects, have been recognized as important by the Marrakech Accords. The same applies to the necessity of assessing and, if possible, of quantifying the magnitude of these impacts. This article aims to define, clarify and structure the relevant social, economic and environmental issues to be addressed and to give examples of indicators that ought to be included in the planning, design, implementation, monitoring, and ex post evaluation of LULUCF projects. This is being done by providing a conceptual framework for the assessment of the sustainability of such projects that can be used as a checklist when dealing with concrete projects, and that in principle is applicable to both Annex I and non-Annex I countries. Finally, a set of recommendations is provided to further develop and promote the proposed framework. IGBP/IHDP: 1999, Land-Use and Land-Cover Change (LUCC) Implementation Strategy. IGBP Report No. 48/IHDP Report No. 10, Stockholm/Bonn (http://www.geo.ucl.ac.be/LUCC/lucc.html). 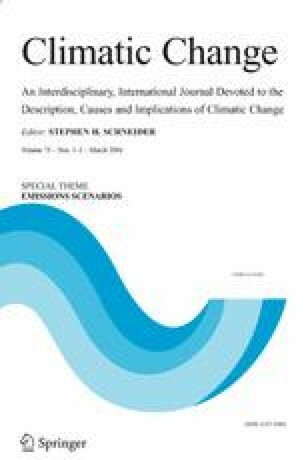 Koellner, T. and Sell, J.: 2005, Demand and Supply for Ecosystem Services from Tropical Forests, http://www.uns.ethz.ch/res/ssedm/eco/tropfor. Robledo, C. and Blaser, J.: 2001, Social Issues in Land Use, Land Use Change and Forestry. An Introduction Based on Some Experiences in Developing Countries, http://www.bib.fsagx.ac.be/coste21/ftp/2001-04-26/robledo-ful.pdf. UNFCCC: 1997, Kyoto Protocol to the United Nations Framework Convention on Climate Change, http://unfccc.int/essential_background/kyoto_protocol/background/items/1351.php. UNFCCC: 2002a, Report of the Conference of the Parties on its Seventh session, held at Marrakesh from 29 October to 10 November 2001. Part One: Proceedings. Document FCCC/CP/2002/13 (Marrakech Accords), 21 Jan. 2002, http://unfccc.int/resource/docs/cop7/13.pdf. UNFCCC: 2002b, Report of the Conference of the Parties on its Seventh Session, held at Marrakesh from 29 October to 10 November 2001. Addendum. Part Two: Action taken by the Conference of the Parties. Volumes I–IV. Documents FCCC/CP/2001/13/Add. 1-4 (Addenda to the Marrakech Accords), 21 Jan 2002, http://unfccc.int/resource/docs/cop7/13a0xc0x.pdf. UNFCCC: 2004b, Report of the Fifteenth Meeting of the Executive Board of the Clean Development Mechanism, Annex 3 ‘Draft consolidated tools for demonstration of additionality’, CDM-EB-15, 3 September 2004. http://cdm.unfccc.int/EB/Meetings/015/eb15repan3.pdf.